Hello Sweeties! I'm back with another tried and tested review. If you are a guy then I'm not sure whether it's useful for you or not. HAAHAHAH Anyway, let me introduce my recent haul. lol It's something that related to our monthly period. Yes, it's the heating pad. The first time I know about this was during the time that I bought my first heating pad @Don Quijote in Japan. 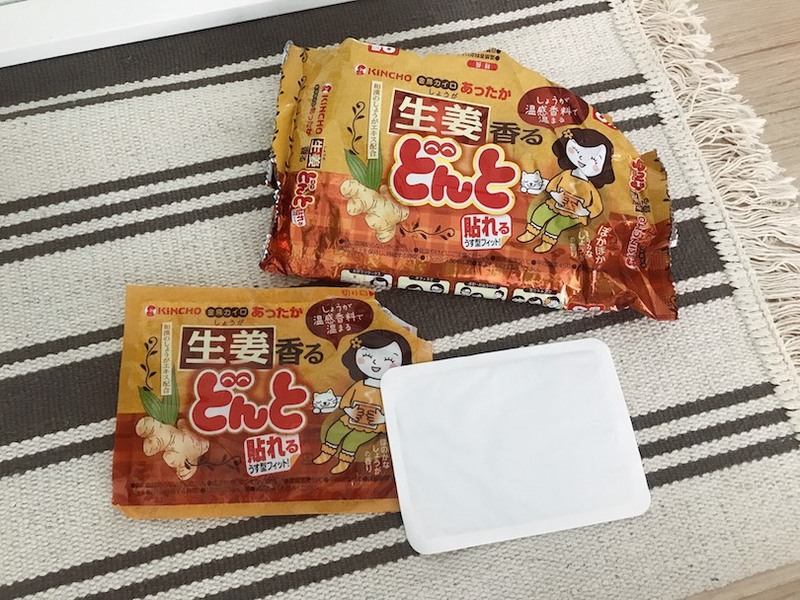 The ginger heating pad (on the photo above) then slowly whenever I see a heating pad, I just grab and try it. So now, here's the 3 heating pad that I normally use during the period week or 1-2 days before the period when my backbone or muscle was super duper pain. Or maybe just when I can't feel my leg I just stick the heating pad on my leg muscle. You see lah,😅 I'm old already. I'm trying to figure out the way to make myself feel better during the first day of my period. lol So whenever it's good for it, I will buy it and try that out. Since most of the time I really wasted a lot of money to buy something which is not useful at all, I decided whatever if something good I will share, if something not worth I will share it too because I don't want you all to waste your money too. Also, I already spent the money to get the item, why not I full utilise it and at the same time I'm able to add value for my reader who read my blog. Right? I'm alive now after lying for few hours on my bed. Basically, I look like a dead fish on my bed. If my period first day came during the weekend, where Smelly will be helping me with some shoot at my space, he will be the one who is really really happy. Why? Because I will keep myself wrap like a sushi lying there like a dead fish and have no energy to talk. Suddenly I become those kind of lovely gf who talk softly and allow him to play with his phone lol. 😂 I'm just joking, he will be quite lovely sometime to ask what to do just to make me feel better HAHAHAHA! There are lots of heating pads. From different type, brand to diff design , sizes and even came out with the one with ginger scent lol. So here's the 3 diff heating pad that I tried before and each was super duper different in term of the usage and design. 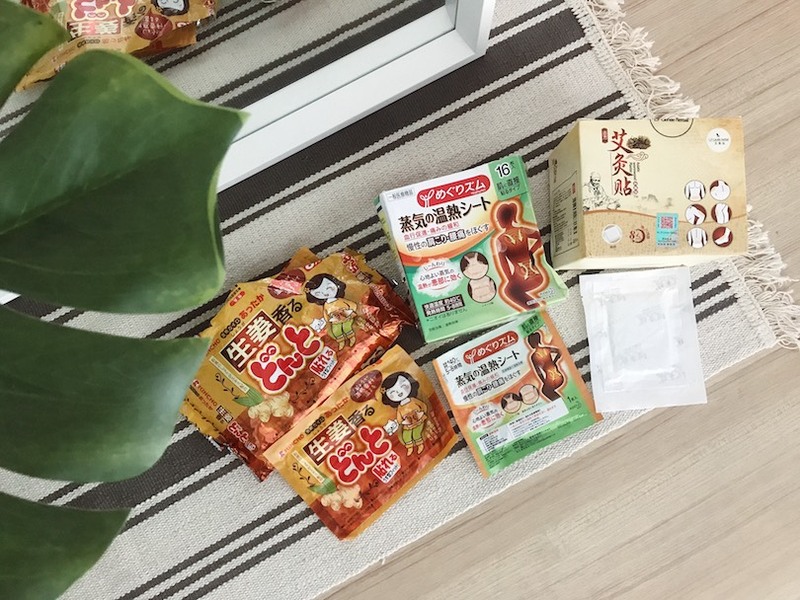 Most of the heating pads got no scent except this , the one with ginger one that I bought in Japan. So it's why it has become my favourite although I hate ginger a lot but it makes me feel better when I put it on lol. 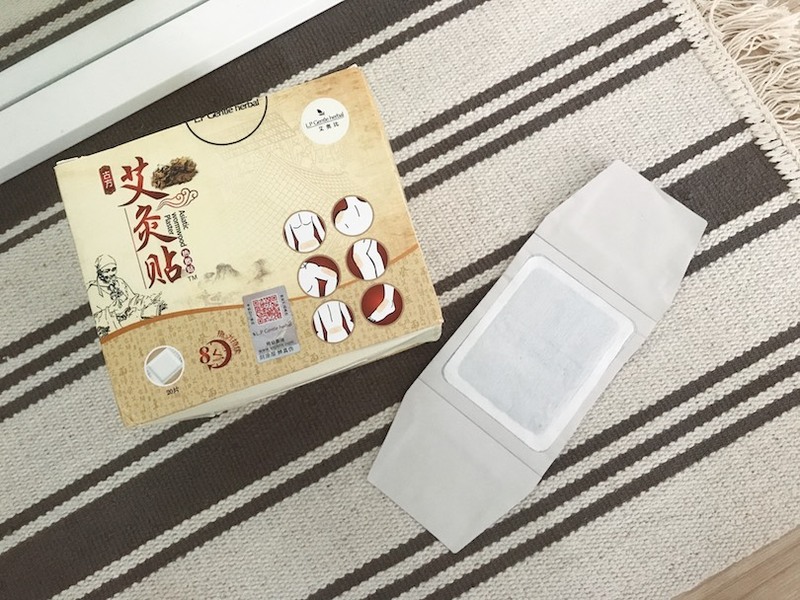 For me, I prefer something last longer, level of heat not too low, the pad itself not too sticky, gentle to our skin and it can keep my body warm. So here's my tried and tested review! You can get it at any drugstore in Japan. I get this from Don Quijote and forgot how much it cost. But it's less than RM40 I guess. So far I love the scent of it but one cons if, this heating pad can only be stick above your clothes, underwear and not really good if you stick it exactly on your skin. 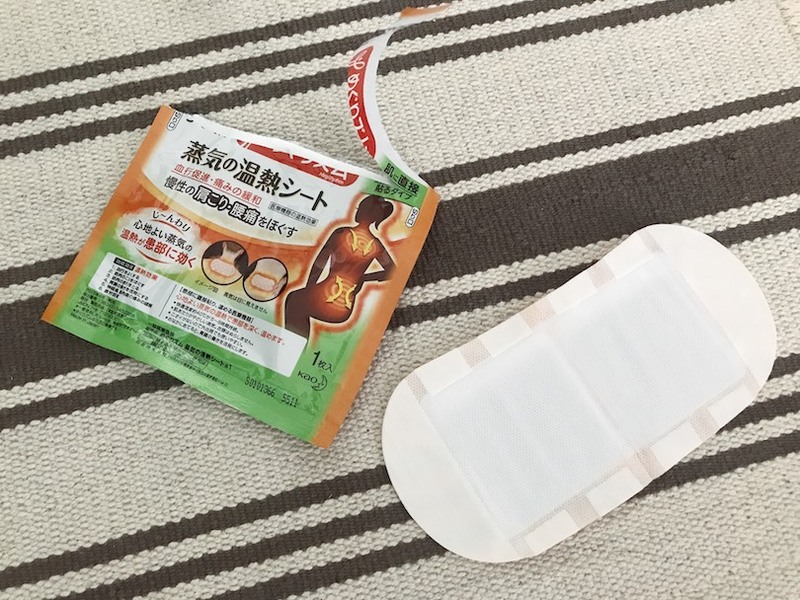 I tried to stick it on my stomach itself because I want to enjoy the maximum heat of the pad and after feel hour, my skin turned really itchy and red. I guess it's too hot to skin on our skin for such a long time. You know I'm quite smart as a consumer and buyer, I just stick underside of my clothes or tee shirt, then the heating pad still face and touch my skin to get some body heat. So i still love this heating pad a lot. Big love for its ginger scent and the heat can last for more than hours. But it's recommended NOT TO SLEEP with this , if it's just a short nap then is okay because if you sleep with it inside your blanket, it generate more and speed up the heating pad, your skin can turn really itchy and red after that. I get this to use on my backbone and shoulder but ended up because the pad itself can be stick and gentle on my skin. I also use it as a period heating pad where i usually stick on my stomach during the first few days of my period. It's mean to be gentle on our skin, so you can straight away stick it on without any layer of clothes but there is one cons. The size is perfect for shoulder and backbone area, not for stomach ahahah! It's rectangle , not a square one so I feel like it's more nice to be stick on the shoulder or backbone. Not sure whether if this available in Malaysia. If yes I will write it here for you ya. If not it's quite painful when you pull it off on your skin. Sometime, I will cut off some part of the adhesive side so I can use it on my stomach or leg area. If not I think this is best for backbone area and shoulder. Especially before your period week, where your muscle get really tired and numb , after you place it on those area, it can be really comfortable and I just feel good with it. But it never reduce my serious period cramps. I think only the ginger one make me feel extra better. Other than that, mostly when it heat up, it will just make me feel better but my period cramps still there. Maybe because mine was too serious lol. This can last me for 6 hours like that only. The kao one still the one which generate better heat than this lol. Not a winter hot pad but a pillow hot pad for yourself. Which is cheap and nice too! That's the tips I use when I'm still a student with no budget to buy so many heating pad lol. So either way, I hope you can feel extra comfortable when you are having a period. Best way is take care of yourself, drink more molasses, dome and less consume cold drinks lol. Hopefully if you found anything nice and good you could share with me too. So I could give it a try and share with all of my readers. That's all for today. See you on my next post. Have a nice day, xoxo.